Restriction of religious exemptions is compelling in the context of human rights. Article 25 of the United Nations' Universal Declaration of Human Rights states that "Everyone has the right to a standard of living adequate for health and well-being of himself and of his family, including[…] medical care." Surely, if we have the ability to prevent a life-threatening illness from harming a child, we should give that child the protection. Likewise, it is time to consider the good of the public's health above individuals' religious freedoms. The diseases that vaccines prevent are not just mild illnesses; 355 people in the Philippines died of measles between January 1 and March 26 of this year; more than 1100 in Madagascar have died since October 2018. Complications that do not end in death are more common and include encephalitis, pneumonia, and ear infections, which can lead to deafness. 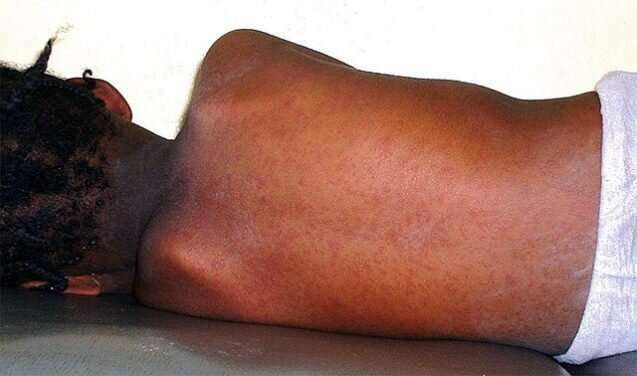 Scarier still is the possibility of SSPE, or subacute sclerosing panencephalitis, a slowly progressing and ultimately fatal complication of measles that manifests years after the onset of the initial infection and for which there is no cure. So why do so many states still allow religious exemptions for vaccination? Restricting all non-medical exemptions—the strategy enacted by West Virginia, Mississippi, and California—is permitted under the First Amendment because free exercise of religion is not absolute. Indeed, in the case of Prince v. Massachusetts (1944), the Supreme Court ruled that a parent "cannot claim freedom from compulsory vaccination for the child more than for himself on religious grounds. The right to practice religion freely does not include liberty to expose the community or the child to communicable disease or the latter to ill health or death." None of the country's largest religions prohibits the use of vaccines, and only a small handful of minor religions—Scientology, Dutch Reformed Congregations, and certain faith healing denominations—resist vaccination due to theological objections. Yet 47 states allow for religious exemptions. Only 17 of those also allow for personal belief exemptions, which means that in 30 states, the only non-medical exemptions being granted are for people claiming their religion does not allow it. In the 2016-2017 school year, nearly 27,000 public school children living in those 30 states were exempt from the MMR, DTaP, and varicella vaccines. Unvaccinated individuals also place an additional health burden on people such as pregnant women and chemotherapy patients, who are unable to get vaccinated for legitimate medical reasons. "Herd immunity," sometimes known as "community immunity," happens when most members of a community block the transmission of disease so that it cannot incubate long enough to affect the most vulnerable of the community. With near total but not universal coverage, herd immunity can help protect people who cannot be vaccinated for medical reasons, but it begins to fall apart when exemptions are high and clustered together based on religious and social norms. On top of the health issues, not vaccinating brings with it a significant financial cost. The cost of vaccine-preventable diseases from those who choose not to be vaccinated amounted to $7.1 billion in just 2015 alone, a substantial burden that can easily be mitigated. It has been estimated that "responding to a single case of measles can cost as much as $142,000, depending on the location and number of cases that must be traced, the amount of postexposure prophylaxis that must be administered, and the number of people quarantined." Would removing the religious exemption actually lead to increased vaccination rates? Following a massive measles outbreak in 2014, California repealed both religious and personal belief exemptions. Though the rate of medical exemptions increased, the overall prevalence of exemptions in the state decreased from 2.54 percent to 1.06 percent. The improvement may seem small, but in a state so large, 1% actually accounts for over a hundred thousand people, thus greatly improving the community's herd immunity. The United States has seen a significant uptick in the number of measles cases since 2000, when the disease was nearly eradicated from the country. Already, just four months into 2019, we've seen more cases of measles than in 8 of the last 9 years, and at this rate, we are well on our way to overtaking 2014, the year of the Disneyland outbreak. Now, when so many Americans see the devastating damage caused all over the world by completely preventable diseases, is the time to make a change in the name of human rights. Now is the time to ban religious vaccine exemptions.